Adding SSL security to your website is not only important for the encryption that it provides, but it is a very important tool in building trust with your website visitors. Any website that accepts payments requires an SSL certificate. But what is it? An SSL certificate provides encryption between your website and the user’s web browser. Not only is it a powerful encryption tool but it reassures your visitors that their connection to your website is safe. Most web browsers will discourage or warn your visitors if there is no encryption in place. eBay now warns users that content, such as images in eBay listings are being pulled from a none secure website. Many search engines also consider ranking a website with SSL encryption higher than that of a website which has no SSL encryption in place. An SSL certificate is a digital file that contains information to authenticate the ownership of a website. 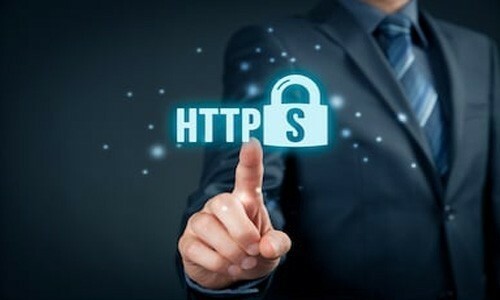 At webreger.com we provide all our clients with a FREE domain validated SSL certificate, this allows you to use the https protocol rather than the standard none secured http protocol. When the https protocol is used any information transmitted between your website and the client’s browser is encrypted using the latest standards, this is currently TLSv1.2. When you have an SSL certificate installed for your website you can start using the https protocol which helps you to gain the trust of visitors to your website. This trust is shown to your visitors by the green padlock displayed in the web browser.